The dashboard in action for Extra Life Nerds. Check out my article on The Nerdery’s blog. 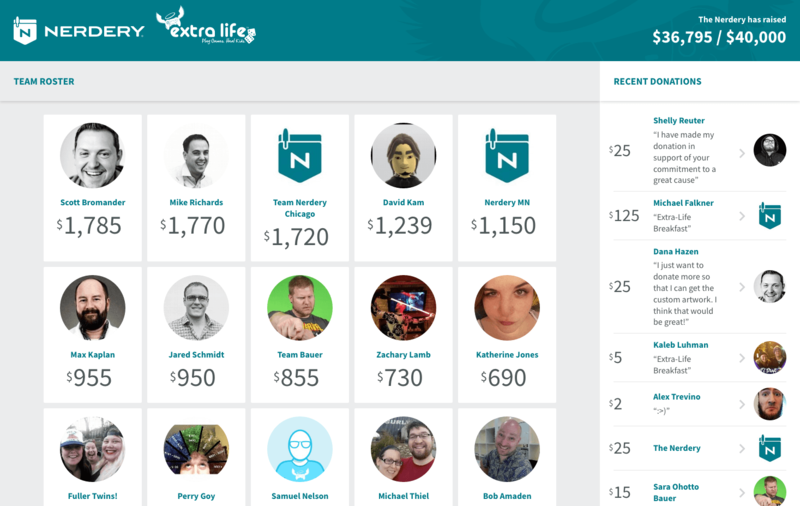 See The Nerdery’s fundraising progress on our dashboard. Set up the dashboard for your own team. Discuss in Extra Life’s official forums. Thanks to Jim Butts for his idea, support, and contributions.